In more than 100 nations, written language is based on the same 26-letter alphabet we are familiar with in North America. The words in many of these Indo-European languages are drawn from a set of core ancient languages (Latin, Greek, etc). The sentence construction rules, work spellings, and related details are related yet different. For example, mother in English has a straightforward translation in Spanish (madre), German (mutter), French (mere), and Dutch (moeder). All are close, but none are the same. Accordingly, without some type of translation between languages, a person who speaks only English would not be able to communicate with a person who speaks only German, Spanish or French. Two hundred years ago, when travel and commerce between countries were limited, communication between users of different languages was not as important as it is today. The same is true for healthcare applications. Fifteen years ago, there was typically little need of clinical applications to exchange data; today, the need for applications to share clinical data is critical. The explosion in the number of clinical applications and the national push for a centralized electronic health records are only two factors driving the requirement for a common language between applications. 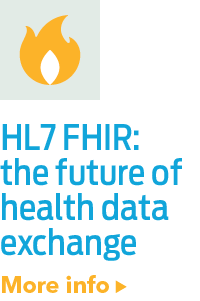 Health Level 7 (HL7HL7 is a Standards Developing Organization accredited by the American National Standards Institute (ANSI) to author consensus-based standards representing a board view from healthcare system stakeholders. 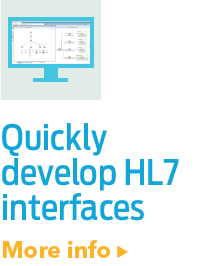 HL7 has compiled a collection of message form...) is a large part of the solution. Applications used by healthcare organizations that have adopted the HL7 messaging standard can communicate with one another – even when they speak different languages. 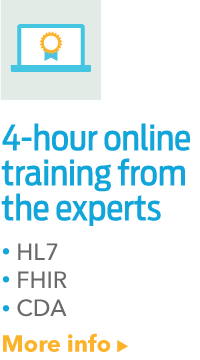 The evolution of HL7 is improving workflow throughout the healthcare industry, and as technology continues to improve, so too will the quality, accuracy, and efficiency of healthcare providers. For the full article, please download the pdf.